The Bowflex is a renown brand that manufactures fitness products. 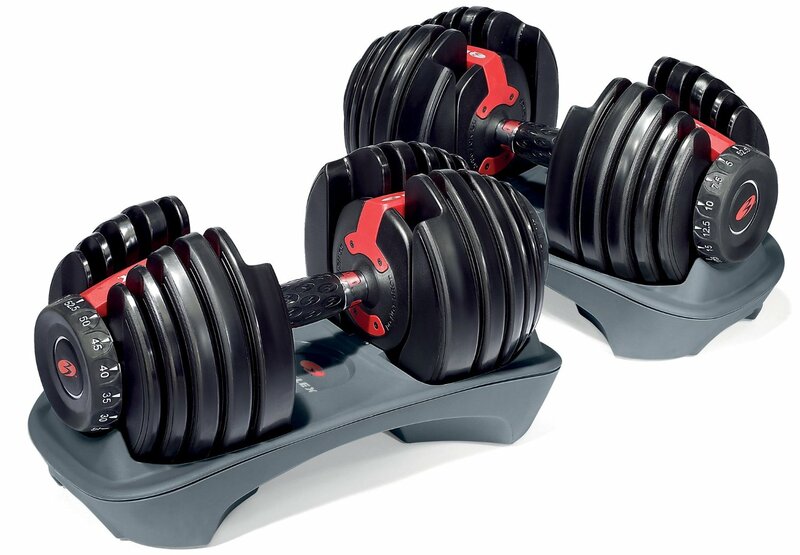 One of the common products of the brand is the Bowflex SelectTech 552 adjustable dumbbells. 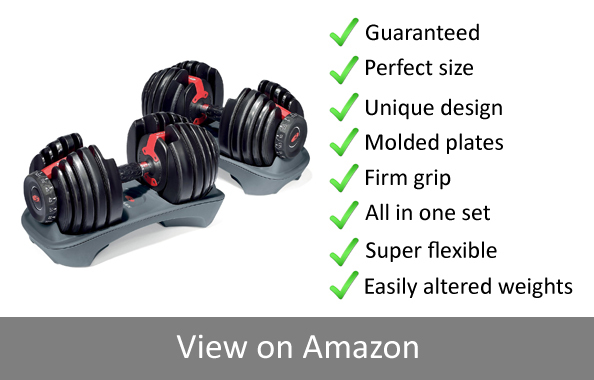 These dumbbells have been designed with unique specifications, which make it among the best adjustable dumbbells on the market. These dumbbells can be used for different exercises. This is because the weight setting of the dumbbells will be enhanced with small additions. When you need to get the best Bowflex SelectTech 552 adjustable dumbbells, here are some of the features you would expect to find. Another special aspect of these dumbbells is that they come with a reliable warranty. The parts and plates come with a warranty of two years, while the labor comes with a year-long guarantee. This implies that you can easily get a new replacement in case the dumbbells are damaged. The dumbbells come with a stand, which you can use, to avoid constant bending when you need to pick them up. Also, it helps to keep the dumbbells stronger for longer, without any cases of dropping them down. This also limits the injuries that might be caused to the back. The dumbbells are sold along with a case for storing the weight plates. This ensures that these weight plates are stored in the right manner and that they are not ruined in any way. There is also a clamp that holds the weight plates in place, when you need to store them while on the bar. The dumbbells are also not too big nor too small. They are big enough to allow you to carry out your workout in the most comfortable manner. Each dumbbell is 15.72 inches long, 8 inches wide and 9 inches wide. This is a perfect shape that will assure you do not injure yourself during the workout. Another thing about these dumbbells is that they have a super unique design, different from any other dumbbell on the market. The dumbbell has metal plates that are not circular in shape, but they look like a disc that has been slightly cut from the tip to the middle, about 2 to 5 centimeters wide. The color of the dumbbells is quite pleasing and they can be placed even in the living room, without appearing weird. The metal weight plates have been molded, which helps to limit the noise that might be produced when they knock each other. Also, the coating will help to limit the chipping of the metal, which in turn boosts its durability. Despite the maximum weight of around 52pounds, the dumbbell is also quite comfortable to handle. They have handles that are coated with rubber, which ensures that the grip is strong enough and that there are no any slips, especially when the weight is too heavy. All the weight discs are perfectly held on every dumbbell in the most perfect way. This will ensure that you have the ultimate workout, from only two pieces of dumbbells. 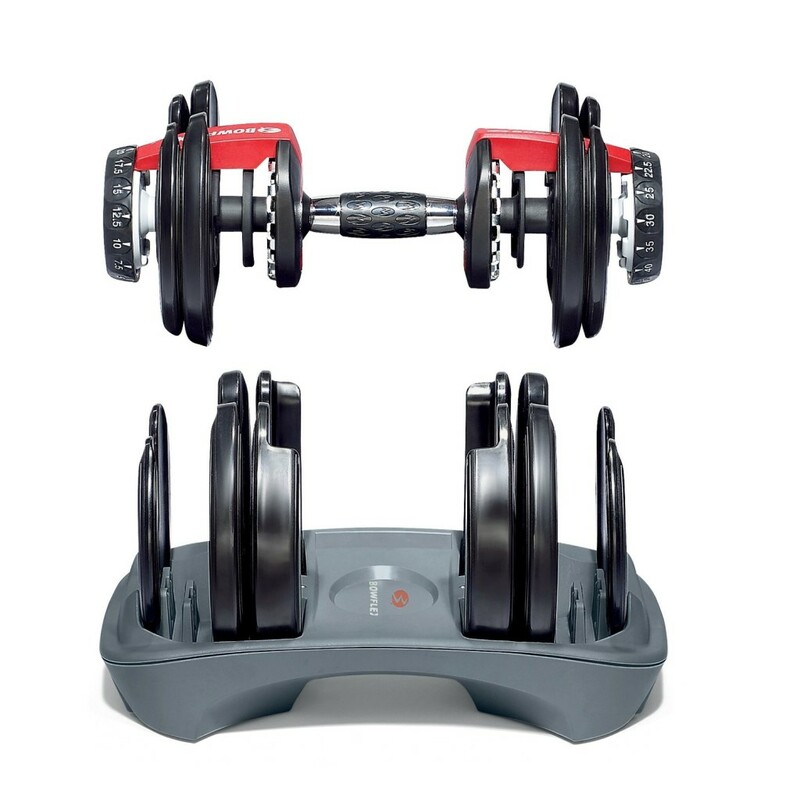 This solves the need of having several dumbbells that range in the weight and size. The flexibility of the dumbbells allows you to get to your maximum workout strength. One dumbbell can carry a maximum of 52.5 pounds, which is heavy enough to give you an intense workout. If you want some light workouts, then you can also start from as low as 5 pounds. This is the same as having several free weights dumbbells. The weights of the dumbbells are easily changed by the dial system. This is one of the features that makes these dumbbells quite different from others. Technically, the dial system allows you to turn it according to your preference and set it to the required limit. Also, it allows you to exchange the disks easily, without having any issues. These are the common features of the best Bowflex SelectTech 552 adjustable dumbbells, which are quite unique and extremely different from most dumbbells on the market. They are quite easy to use and also, they will allow you to perform different exercises altogether. They are also long lasting, thanks to the design and the coating on the handle and the metal weight plates.